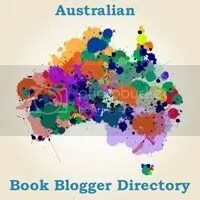 Australia has some absolutely awesome authors and there are awards during the year to recognise their brilliance. The first one of the year is the Aurealis Awards and when I read the list of finalists I was stoked to see Trudi Canavan on the list and then waited with bated breath to see how she went, naturally she won the Best Fantasy Novel category and I’ll see if I can get her to say a few words here but I won’t promise anything. Andromeda Spaceways Inflight Magazine was mentioned twice as two of the short stories they’d published were nominated, that issue must have been a bumper of a magazine as they were both from issue 40 and one of them won. It’s a great little magazine and I have a subscription. I’ve managed to collect almost all of the 42 issues and they have some wonderful stories. They only publish quality work, I know as they turned down my poem even though I’m friends with the Slush Mistress of the time. I’ll have more to say about them in a future blog when I talk about slush piles. Congratulations to the winners of the 2009 Aurealis Awards! The winners were announced at the thirteenth annual Aurealis Awards ceremony at the Judith Wright Centre of Contemporary Arts in Brisbane on Saturday 24 January 2010.